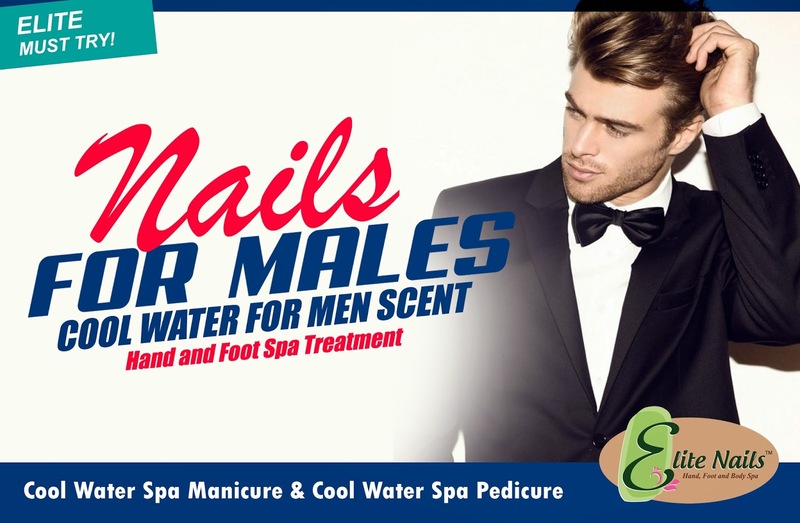 Here at Elite Nails Spa, allow us to unleash the manliest kind of vanity in you! We’re offering you these special treatments exclusively created for men – the Hand and Foot Spa with Cool Water scent. Experience a kind of pampering that will soothe your tired hands and feet and make your nails and toes in perfectly neat appearance after. All you have to do is make yourself comfortable in our couch, feel it like your own throne and let our professional staff treat you like a king. The hand and foot care procedure begins with a warm soak for immediate relaxing treat followed with scrubs, moisturize and massage – all using the natural ingredients with the invigorating scent of Cool Water for Men. The final touch is the cleaning of nails and toes which involved careful processes of filing, cutting (if needed) and buffing for smooth nails surface. You may opt to have your nails painted with a natural polish for a masculine finish.